I was vegetarian for 30 years before becoming a fully fledged vegan in January 2015 and I have no idea why I didn’t do it sooner!. Vegetarian dining has improved immeasurably since I started on my journey back in 1985 and nobody really bats an eyelid at seeing vegetarian options on the menu when dining out. Although we’ve still got a bit of a way to go on the vegan front, I’m very happy to say that things are really developing at a good pace, which is fantastic! Bodega is located at 12 Bennett’s Hill, Birmingham B2 5RS and is described on its website as ‘…a contemporary cantina bringing fresh, homemade South American inspired cuisine to Birmingham city centre…’. It also offers cocktails (including some delicious alcohol-free options), wines and bottled beers. The cantina opened in 2010 and in recent years, I have eaten here with family and friends many times. It is a buzzing place, that attracts people of all ages. Weekends and evenings can get very busy, so I’d advise booking a table in advance. If you struggle with noise, it’s probably best to dine there during daytime when it’s a bit quieter. I’ve always experienced very good service here, even during the busy times. 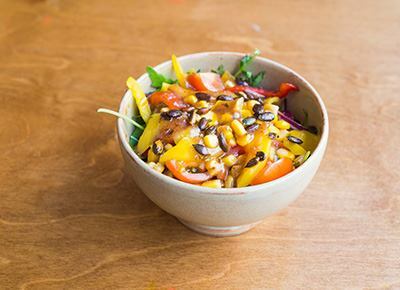 You can see Bodega's vegan menu here! Offerings include nachos, burritos, tacos and various side dishes. The sweet potatoe fries, and the black bean and rice burrito are my personal favourites and it makes such a nice change to be offered a good guacamole dip that contains neither milk nor cream! Also, you can choose the level of ‘heat’ you prefer in your salsa. Speaking as a wimp in the spice-tolerance rankings, I always go for the ‘mild’! The meal portions are a good size but not too big, which I prefer, as I hate wasting food! 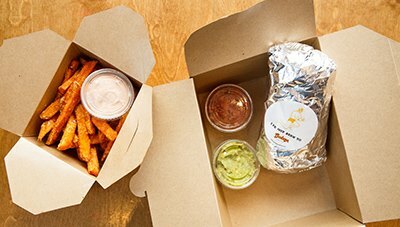 Another bonus is that Bodega also offers a take-away service which includes a (vegan) roasted vegetable, black bean and cilantro lime rice burrito option plus sweet potato fries. If it was located a bit closer to where I live I’d be giving them a call right now! Cafe Soya has two premises, one in the Arcadian Centre, Hurst Street, B5 4TD and another at 2 Upper Dean Street, B5 4SG, opposite Birmingham Bull Ring’s rag market, on the fringes of the Chinese Quarter. It is this latter branch that I am reviewing. I’ve been eating out at Cafe Soya for several years now. This was most often before going to my favourite picture house, The Electric Cinema, which is just five minutes walk away. Cafe Soya is a popular and informal eatery, offering Vietnamese and Chinese cuisine. It also hosts private functions and karaoke parties in rooms separate to the main cafe area. The Cafe is very family-friendly and serves a diverse clientele (which is always a good sign in my book!). Although it can get very busy, I’ve never had to book a table, although on one occasion when it was full we were offered a seat in the waiting area until a table became free. We didn’t have to wait long! However, during busy times, the quality of service and order waiting times can be a bit patchy, but the food on offer is simply delicious and mostly cooked from scratch, so it’s worth the wait. Portion sizes are generous and often I’ve taken a doggy bag home with me! Unlike Bodega, Cafe Soya has quite an extensive vegan and vegetarian menu, which includes both mock-meats and more traditional beancurd-based dishes, so there is something for everyone! All the vegetarian meals can be adapted to meet vegan requirements upon request, but most are vegan anyway! Reassuringly, staff generally check if you eat egg before ordering a meal that might contain it. As with Bodega, Cafe Soya also publishes its menu online, so you can choose what to have at your leisure. I’d recommend highly the Veggie Platter for starters, which includes crispy spring rolls, veg dumplings, sesame ‘prawn’ toast and veggie steam rolls. They are delicious! My personal favourites for a main dish are the Veggie Pipa Tofu and Veggie Lemongrass ‘Chicken’ fried rice. My mouth is watering just thinking about them! 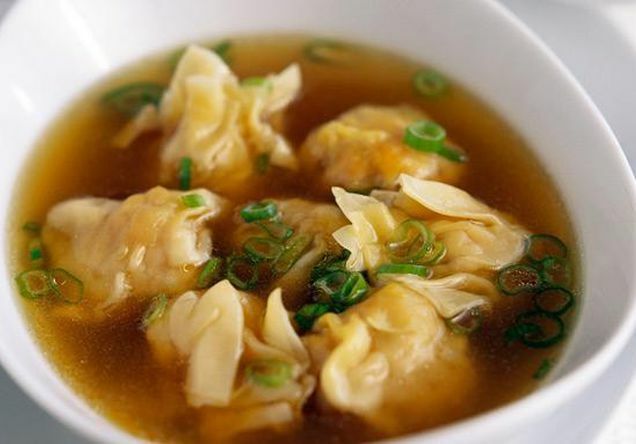 The Big Bowl Soup Noodles are also very good value for money. If you’re not a big eater, I’d recommend sharing one as they are deceptively filling! As well as stocking the usual range of soft drinks, teas and coffee, Cafe Soya also offers a wide variety of soya shakes, fruit smoothies and desserts. It really is a haven for vegans and I thoroughly recommend you give it a try next time you’re in Birmingham.